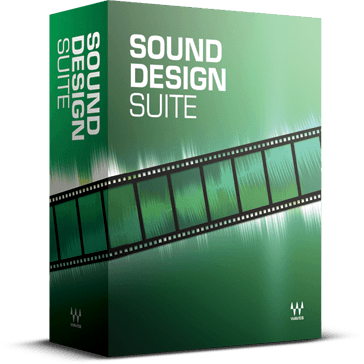 With over 35 plugins hand-picked especially for sound designers and post production facilities, the Waves Sound Design Suite is a comprehensive and cost-effective collection of audio plugins that provides all the essentials—without breaking the bank. And to be sure we included the perfect plugins for sound design, Waves worked closely with two of the hardest-working pros in the business: movie maven Scott Martin Gershin (Star Trek, Hellboy 2, Chronicles of Riddick, American Beauty) and game guru Charles Deenen (Need for Speed, Fast & Furious 1 and 2). In this interview, Charles Deenen (Need for Speed, Fast & Furious 1 and 2) shares some of his experiences as one of the video game world’s premier Sound Designers. Scott Martin Gershin has worked as a Sound Designer and sound supervisor on some of the most popular films of recent years: Star Trek, Hellboy - The Golden Army, American Beauty, Shrek, Blade II, Underworld Evolution, and many more. High profile sound designer & mixer Scott Martin Gershin took a few minutes to speak with Waves about his current projects as well as his beginnings in the business.